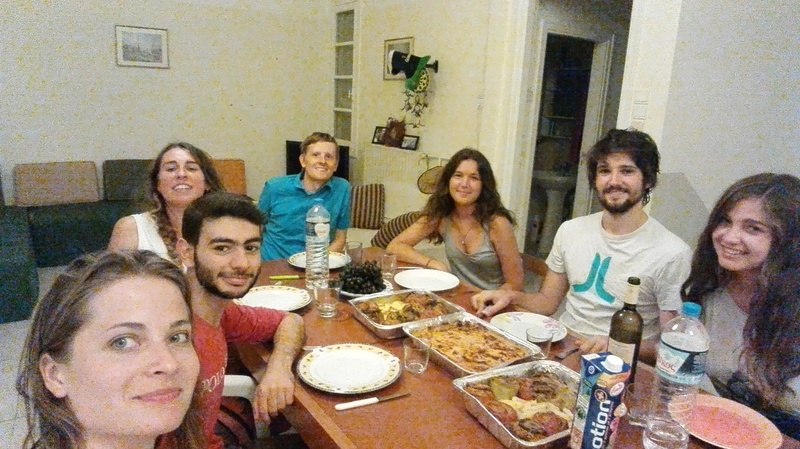 Choosing Greece and BRFAA, Zoe Cournia lab, for my PRACE Summer of HPC destination was probably one of the best decisions of my life. To be honest, the project was pretty difficult sometimes and I had a few days of complete desperation, but I can honestly say that I’ve learnt a lot and now that it’s over – was completely worth it and a great adventure. 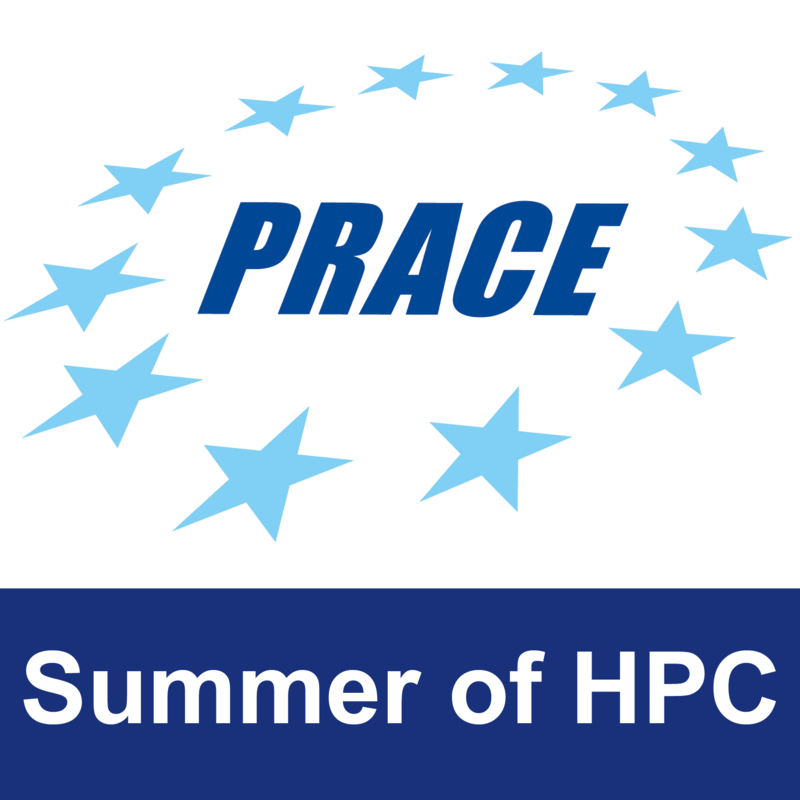 But let’s not bore you to death – I wrote a lot about the project before, and in my last post I’ve promised to tell you about the summer part of HPC program. 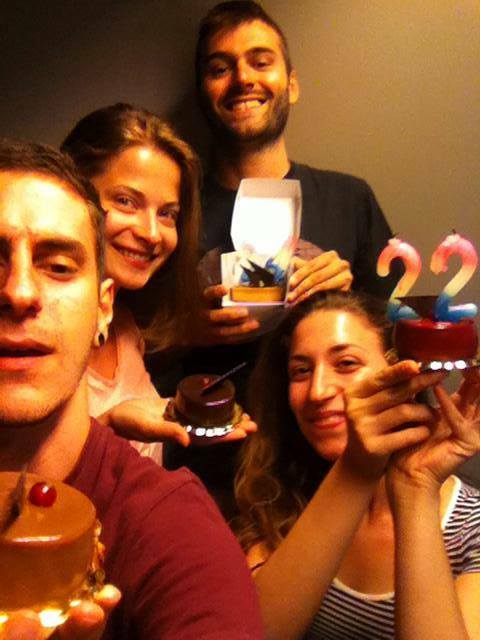 Juli & Juan B-Day celebration. The work team. And that was an intensive one! As you would expect, Greece has a lot to offer. Being here for almost two months I didn’t experience a single day of boredom (OK…there was one Sunday I spent in bed all day. I was not bored though, actually felt pretty overwhelmed that day – very busy with getting my life back after trying ouzo the night before. ‘Let he who is without sin cast the first stone’). Moussaka time with my flatmates. I can not truly recommend Ouzo, did not (and will not) try Rakija, but Greeks are Masters of coffee (did you know that Frappe is from Greece?) and food. Oh my! What delicious things I’ve eaten here. Greek salad and Tzatziki are something everybody knows Greece for, but there is a lot more than that. Among many, Tiropita, Souvlaki, my most beloved Moussaka and obviously deserts: starting from Baklava (which is basically 150% of sugar) are definitely a must when you’re in Greece. That is also amazing, that during these two months, not once did I eat lunch alone. At work – I used to eat with my colleagues, at home – with my flatmates, and during the trips – with other travel companions (which usually consisted of some of the flatmates and/or some of the colleagues). 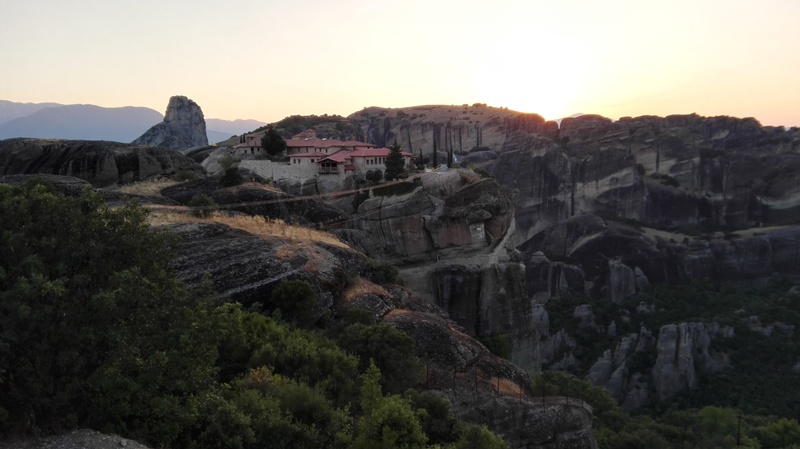 Speaking about traveling… don’t ever think about going to Greece for a weekend trip. Not only does Greece deserve your whole vacation, but there is no possibility you will be satisfied with just 2 days here. Basing on my experience I calculated (trust me, I’m a scientist) that 7 days is the ABSOLUTE MINIMUM to see just the most essential things here. I will not tell you about all the places I’ve been to (although they all were worth it), this would be too long to read, but I feel obliged to tell you about the most beautiful of them. Actually, I plan to come back here with my friends one day and already have my plan to show them around, and maybe any of you will find it useful too. The plan is for the minimum of 7 days, but extending it would be a piece of cake, the order changes are possible, but it is optimized for the maximum efficiency with minimum costs. Day 1: Rent a car at the airport and skipping Athens go straight to Meteoron. That’s the farthest point you will go and although the way is pretty long (took us about 6 hours), the place is totally worth it. Absolutely unique. If you have some time during day 1 (you came with an early plane) – chill in the city and enjoy the sunset (ask locals where, they will be happy to help!) – it is beautiful there, as you can see on the picture below. These buildings on the rocks are actually the Monasteries, and you can (should) visit most of them (try going in the morning hours of the second day, remember about dressing properly, legs and arms covered). Local food alert: onion cheese pie. Day 2: You are in Greece and haven’t seen any beautiful beaches yet? That’s a shame! After visiting the monasteries, go to Lamia. 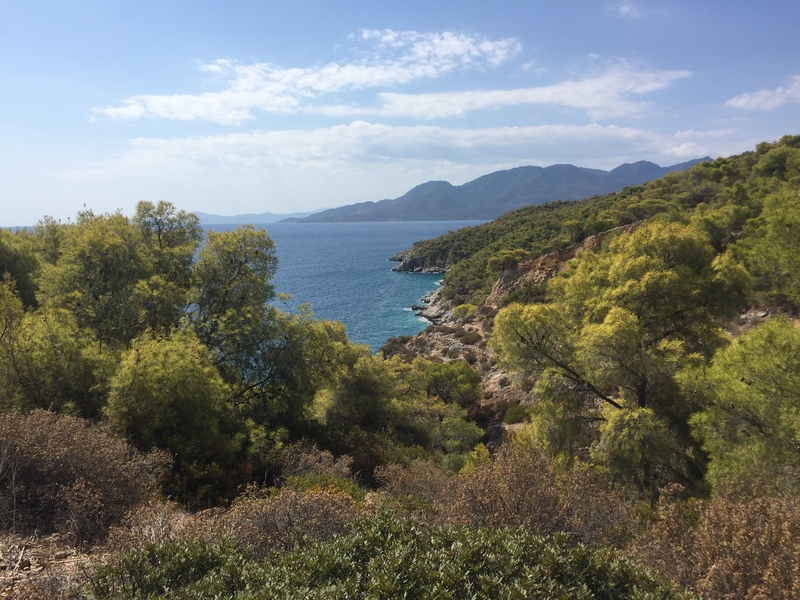 We don’t plan to spend too much time there – just chill an hour at the beautiful beach, get some food and move to your hotel near the next point: Delphi, get some proper sleep there, because day 3 will be a long one. 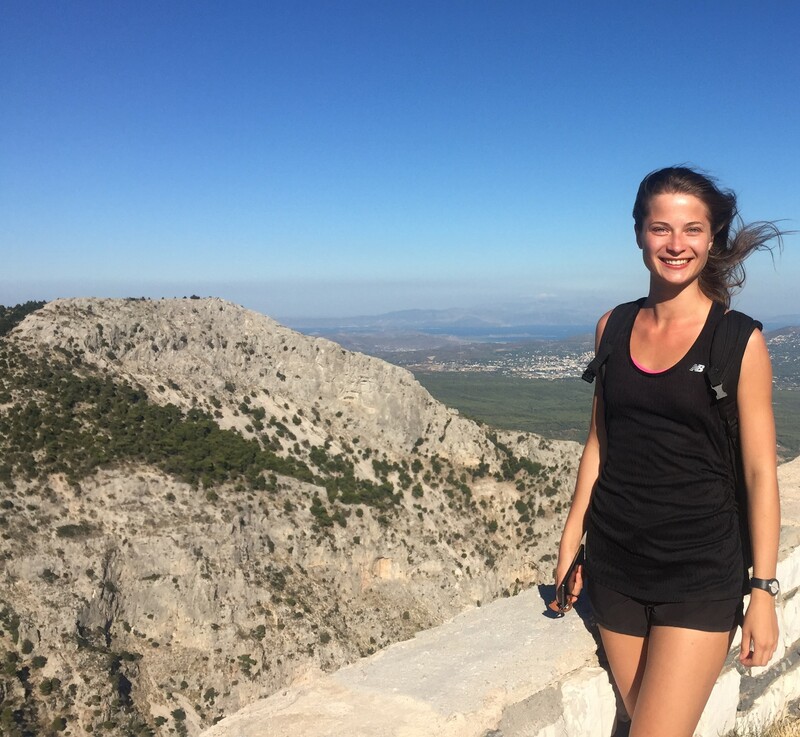 Day 3: We started early in the morning, and it was good, because later it got definitely too hot to walk around outside – and Delphi is mostly walking around with sun shining right into your face. 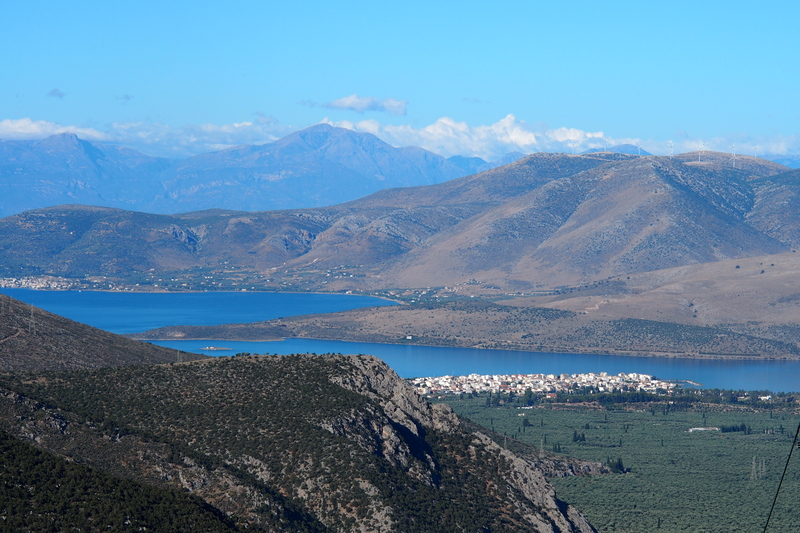 Delphi is the center of the world, one of the most popular ancient destinations in Greece with incredible views around. After a few hours, when you’re done with the mandatory part of trip, the Oracle, seen all the temples, learnt about history and fell in love with Greece (that’s where I did that), you should definitely go to the beach in Itea and after chilling there – back to Athens. I personally recommend to stop in Chalkida on the way. Day 4: Tired? Good. We’re on Marathon here. Day 4 is the Athens day. Breakfast, the Acropolis, Parthenon, Plaka, Theater of Dionisos, The Acropolis Museum, Lunch, Walk at Monastiraki, Ancient Agora, Syntagma square (guards change by the Parliament building is my personal favorite), sunset at Lycabettus mountain, dinner (for example here) and drink in one of many roof bars. If you still have energy, see the night life of Athens – go to Gazi (remember, parties in Athens start at 2 a.m., not earlier). Day 5: Now the most beautiful part – Islands. I’ve been to two closest of them, but you can choose from variety, especially if you have more time. My choices were Aegina and Agistri. The fun part is that they’re both beautiful (if for some reasons you have to choose just one – take Agistri) and they are really close to each other. The perfect plan is to go to Aegina first (go to Piraeus and then 1 hour in a ferry), spend the whole day there, do some sightseeing, go to the beach, and the next day go to the second island (Ferry from Aegina to Agistri takes 10 minutes). On Aegina it is really worth to rent a motorbike, because the distances are too big to walk, and buses – not very often. DON’T TRY RENTING A BICYCLE (I did that) if you’re not in the shape of your life – the hills are pretty much exhausting. Local food alert: nuts. Day 6: Next day in the morning, take 10 minutes ferry to Agistri. My personal favorite. I don’t really know if there is anything else but beaches there (ignorance…), but these are a w e s o m e. I did the island on foot/by bus and it was perfectly fine. Skala, the first beach you will see is not worth it if you’ve got only one day. Go to Chalikiada first, and then Dragonera. If there is some time left – Mariza is also one of the most beautiful. On the evening go back to Athens. Day 7: Since you’ve been resting on the beaches and eating nuts for the last two days, you should burn these extra calories now. Day 7 is for mountains. Did you see these nice peaks around Athens? This is Parnitha. Take a bus to Thrakomakedones in the morning and let the fun begin. We went to probably the most popular Parnes, but you can choose from a wide variety of peaks. If you are too lazy to walk but still want to see the views – there is a (free) ropeway to the casino on the mountain (yes, not a hotel, not a restaurant. A casino). That is the mountain we did and I guarantee you will enjoy it. If you decide to go on foot, as we did on the beginning –remember to follow the trail and respect the mountain.